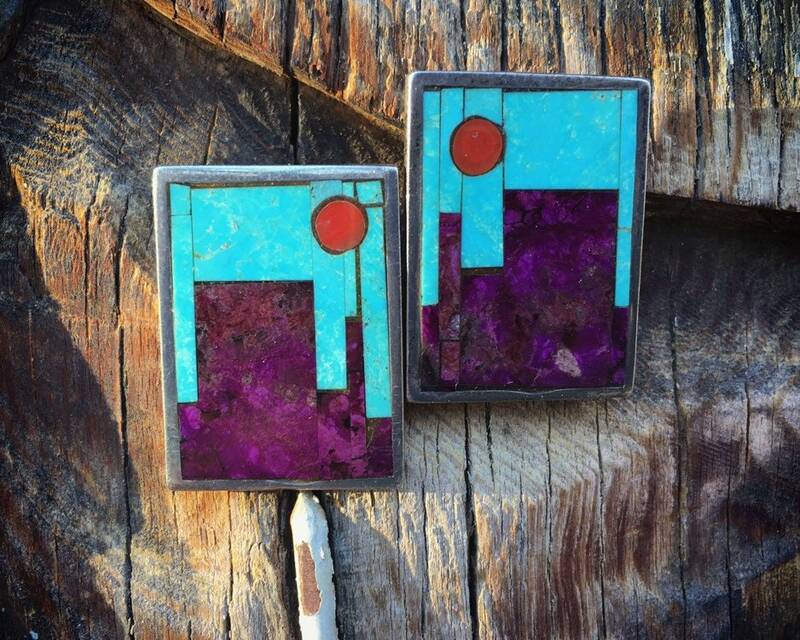 These stunning earrings truly are art to adorn the body. 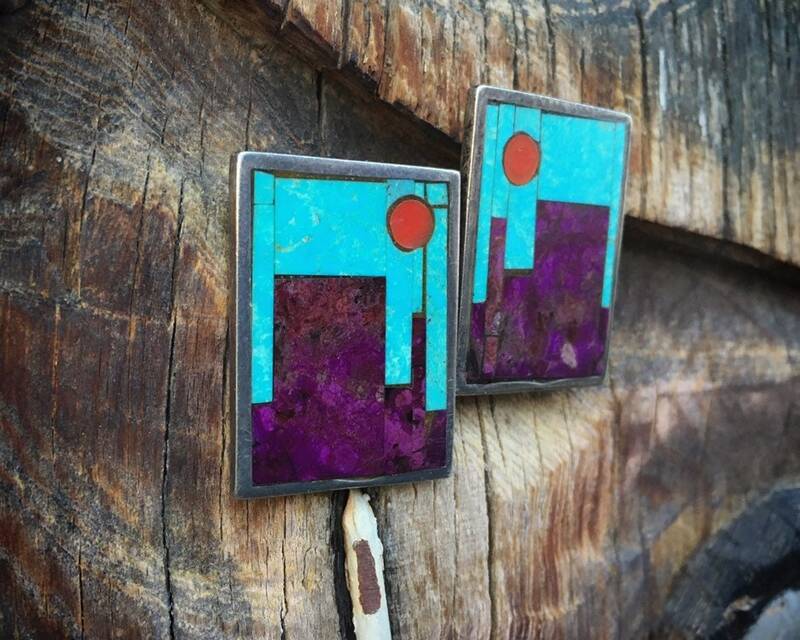 Each represents a mosaic inlay "picture." 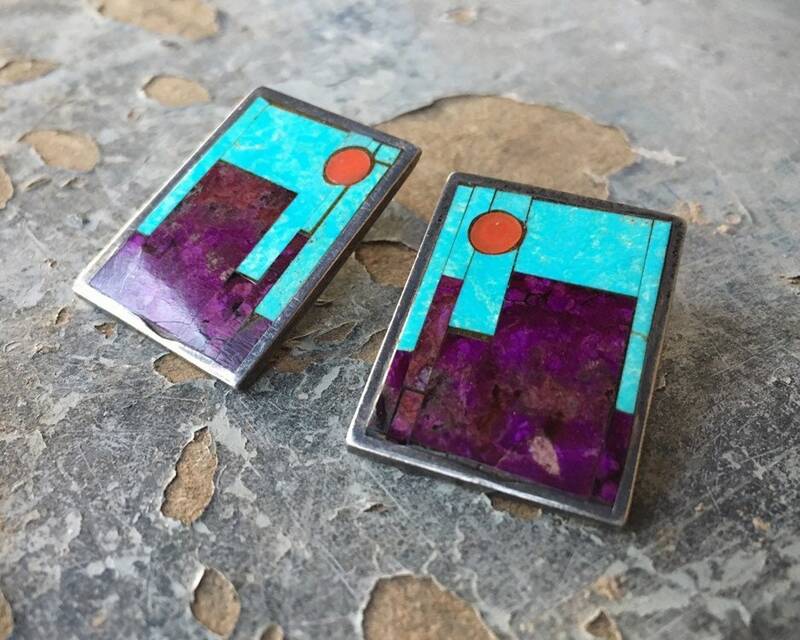 The earrings are made with purple sugilite, blue turquoise, and warm red coral to form an image that to conjures mesas and chimney rocks of the Southwest set against the a blue sky and rising sun or moon. 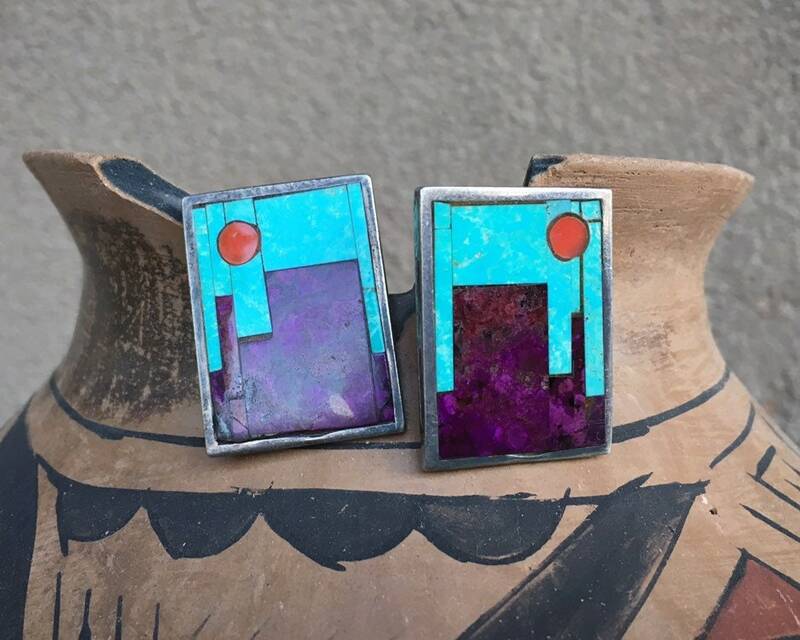 Although I've not been able to identify the artist, the pieces have a style of hallmark common among Hopi silversmiths, which is a pictograph icon with an initial underneath. 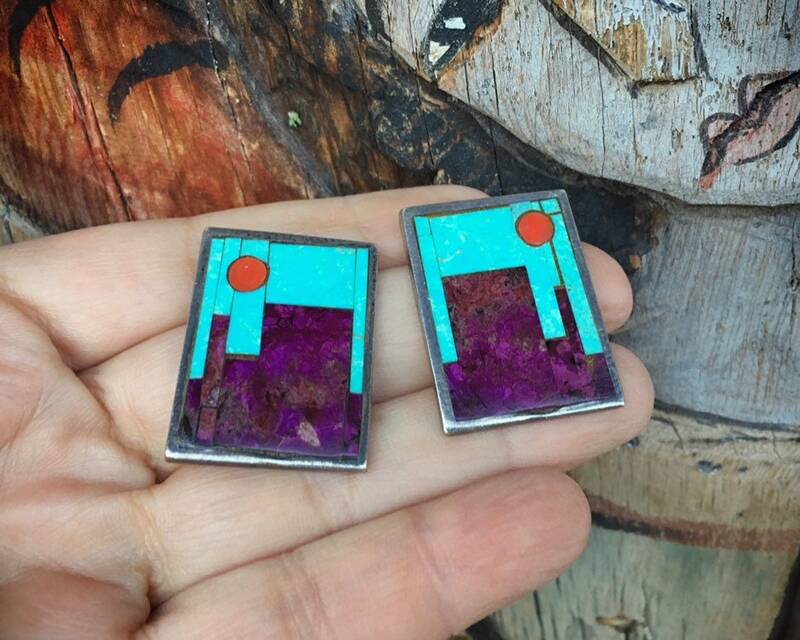 You can see in the design of the earrings the lines where the each stone was cut and fit together like a puzzle. As the lines are not set off by silver borders, this is not channel inlay per se but rather flush mosaic inlay. 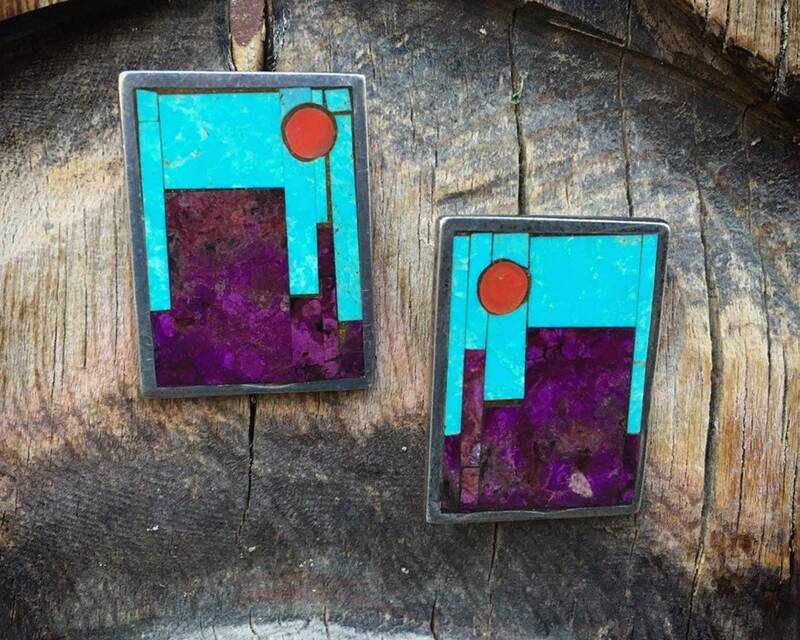 These are truly one-of-a-kind earrings, big enough to be noticed yet not huge. 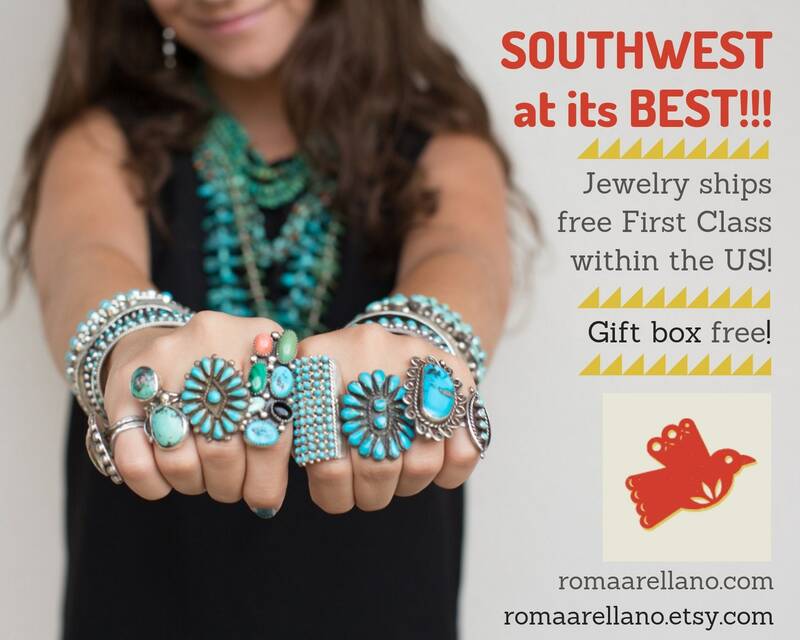 If you're like me you'll also love how they feel, so smooth and almost like worry stones. 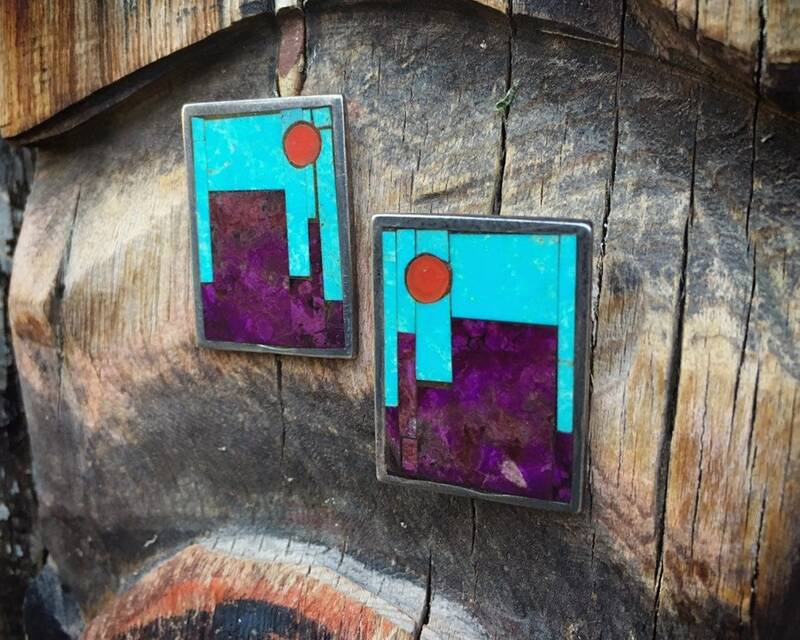 You may, like me, also imagine other ways to use the earrings, perhaps making them into pendants, or pendant and bolo tie. 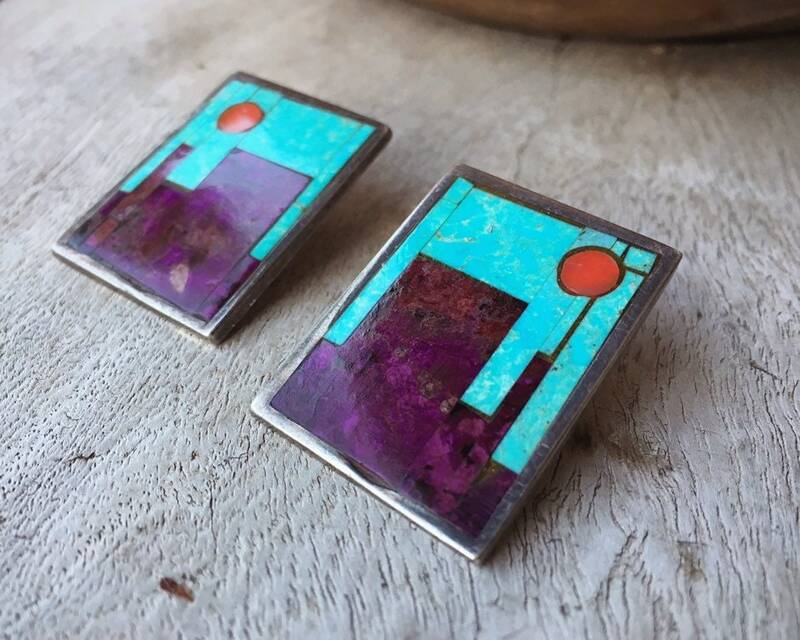 Of course, jewelry like this is always best as the artist intended them--to be worn as earrings. But I know you'll agree, they are so unusual and one day you may even decide to frame them into a small picture. 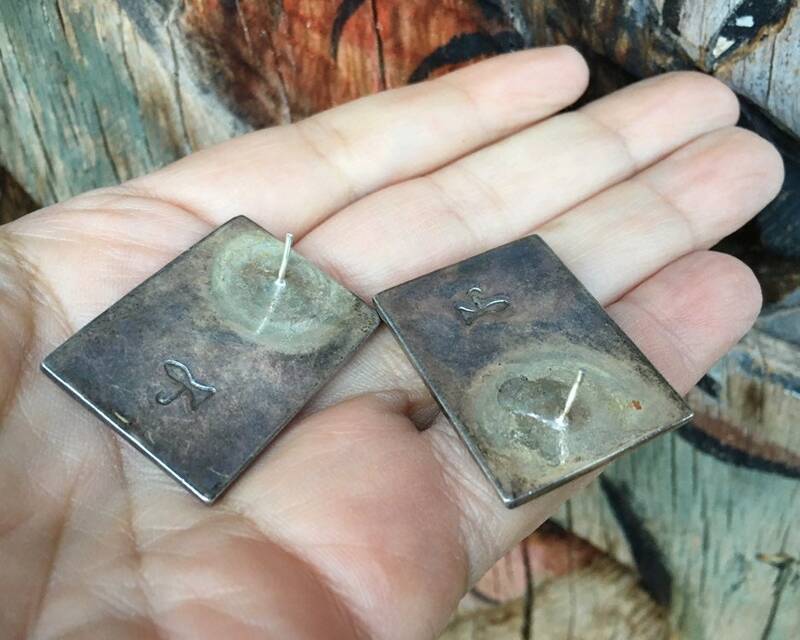 Each earring measures just under 1" across by 1-1/4" long. Some small scratches on the silver back from age, as well as the hallmark especially on one earring being slightly rubbed down. Otherwise inlay in great condition.